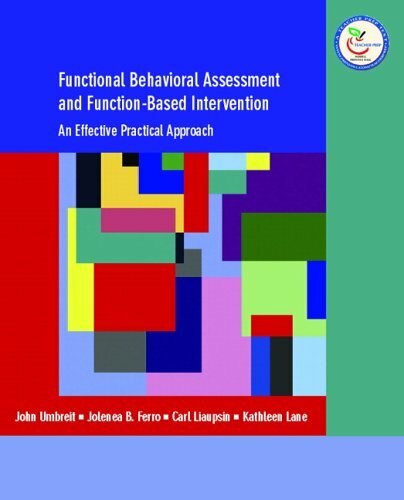 013114989X – Written by the leading authorities in the field, this book presents a complete system for conducting FBA’s, developing effective interventions, and implementing and monitoring those interventions. Utilizing step-by-step strategies with supporting examples, this book will first discuss the principles around behavior management, then show how behavior management relates to functional behavioral assessment, and then offer methods for developing effective funcational based interventions. General Inservice and Special Education teachers, school administrators, school psychologists and/or counselors, behavior specialists and other educational service agencies.